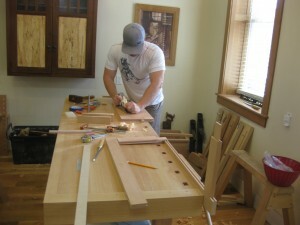 This weekend I hosted a workshop at my studio in Salt Lake City, Utah. It was my fourth of the summer, and I have one more scheduled and two more that I will be adding — a second tool chest class (I had to turn a few folks a way) and a long board/skateboard building class. Stay tuned for more info on these. 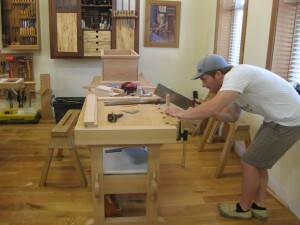 Four students each built an heirloom tool chest in three days. 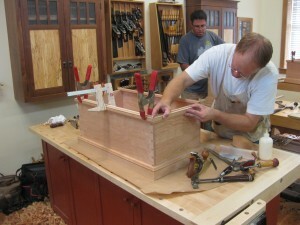 I designed this tool chest and wrote about it in Fine Woodworking (Issue #169) in 2004. 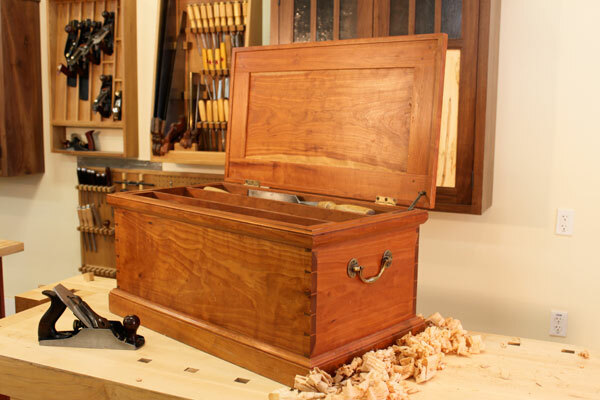 The tool chest offers a great mix of form and function. 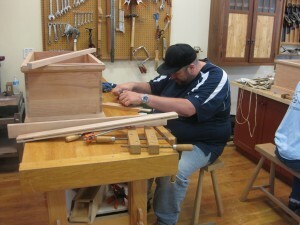 Each craftsman had his own bench, working at their own pace to craft a traveling tool box to store their hand tools in. 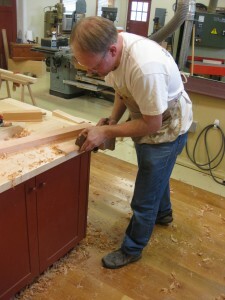 The instructor to student ratio was 1:4, which makes this class personal and appealing. 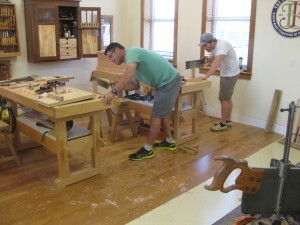 We had a great time handcutting dovetails, chopping mortises and sawing tenons, among other traditional techniques. 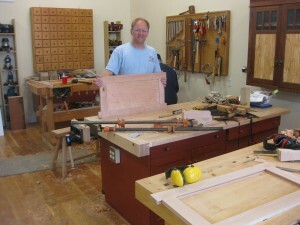 The tool chest is a small one — 30 x 16 x 14 inches. It is great for transporting tools to various destinations and a great place to store your tools. 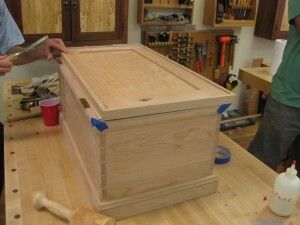 We used cherry wood, which was prepared in advance. 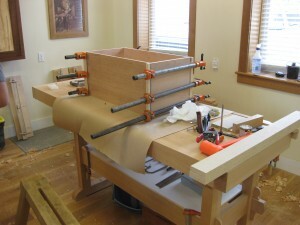 All of the joinery, fitting, assembly and detail was done by hand. I’ve taught a lot of workshops of the years and this one is a winner — everyone left with a tool box that was about 95% complete and we all had a great time building them. The construction is actually quite physically demanding. We went from 8am to 6pm each day pushing planes, chopping and other things. Most people don’t stand on their feet this long each day. Kudos to each of the participants. They had great skills, worked through the challenges, helped each other out, shared tools and really just made it an enjoyable three days. I’ve uploaded a few photos. Give them a look and check out some of my upcoming workshops for this season. I will be posting additional workshops soon. 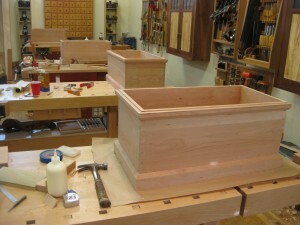 Chests awaiting their frame and panel lids. I hope you enjoy the photos. I’ve made a commitment to blog more often.